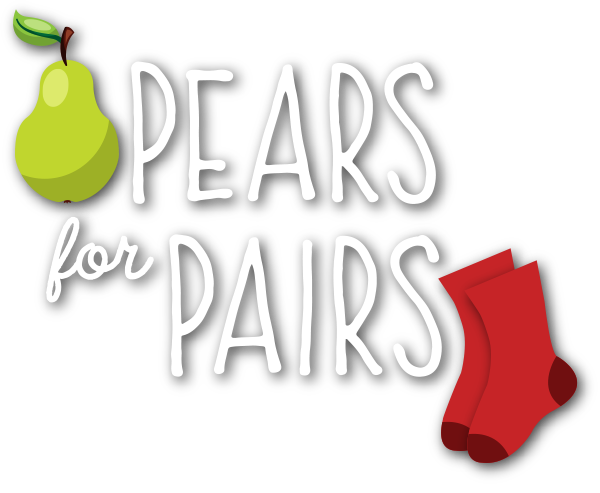 By purchasing Rainier Fruit branded pears a portion of your purchase will be used to make a donation to the Hanes Sock Drive. But don’t stop there. 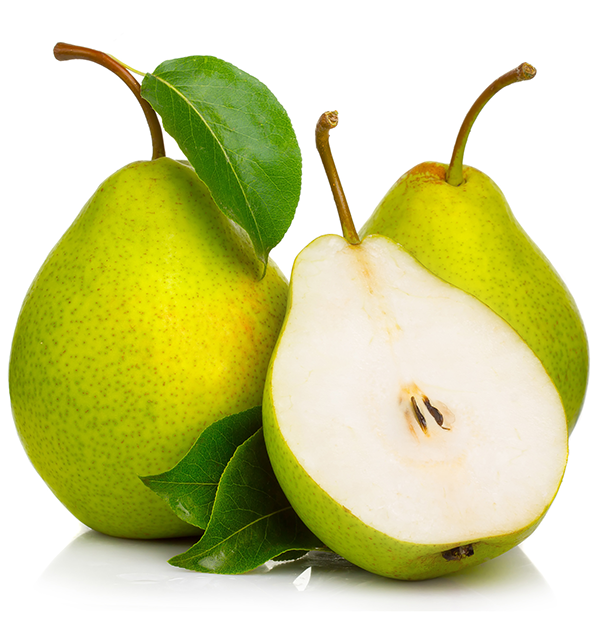 There are many other ways you can help. 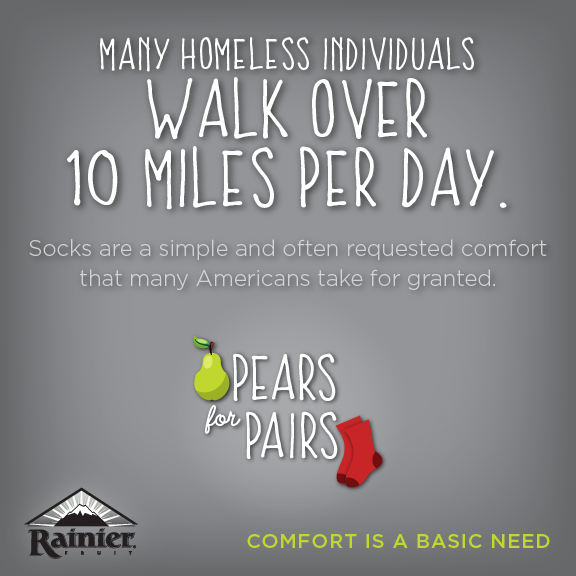 Share information and help raise awareness of the homeless issue in the U.S. 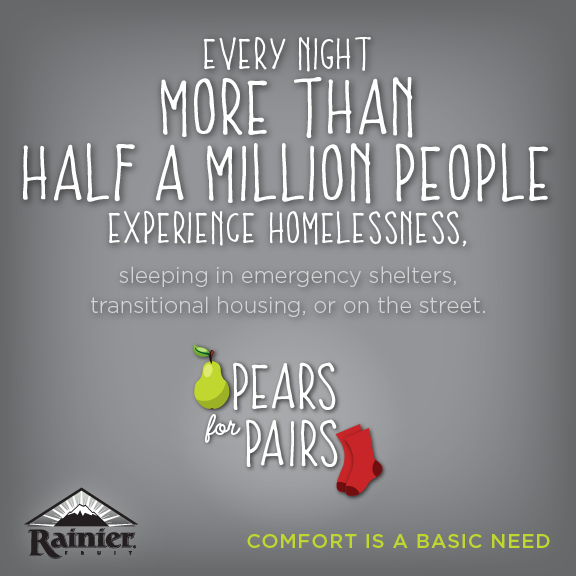 When you see a homeless person, don’t look away, just smile – your acknowledgment is an important act of compassion. 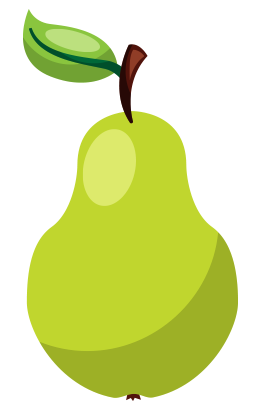 Find other ways to donate or volunteer in your community. 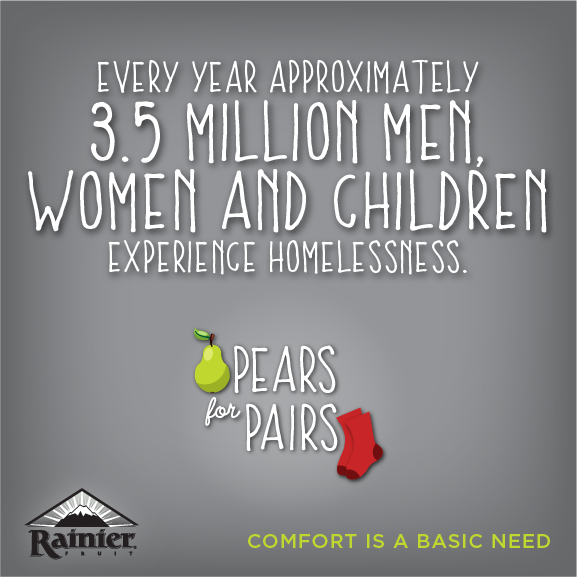 Every year 3.5 million men, women and children experience homelessness. 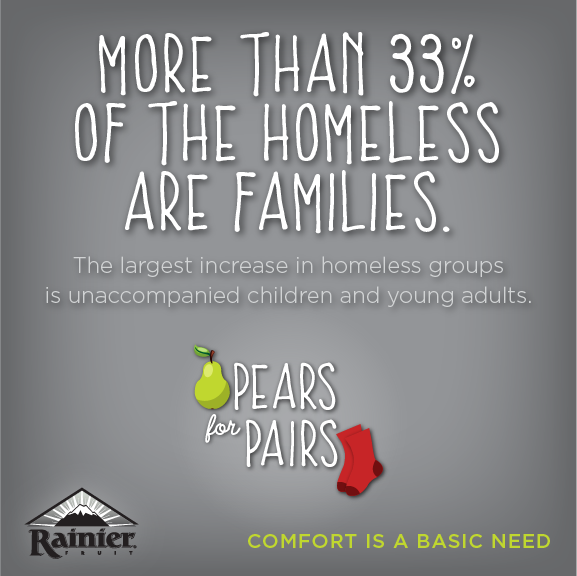 The largest increase in homeless groups is unaccompanied children and young adults. 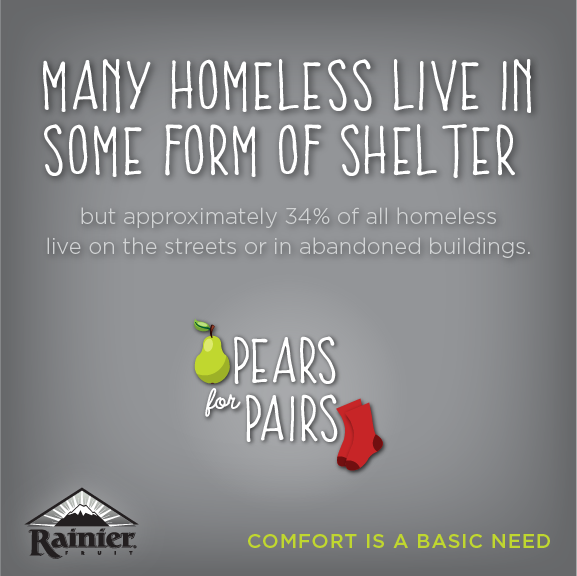 More than 33% of those homeless are families. 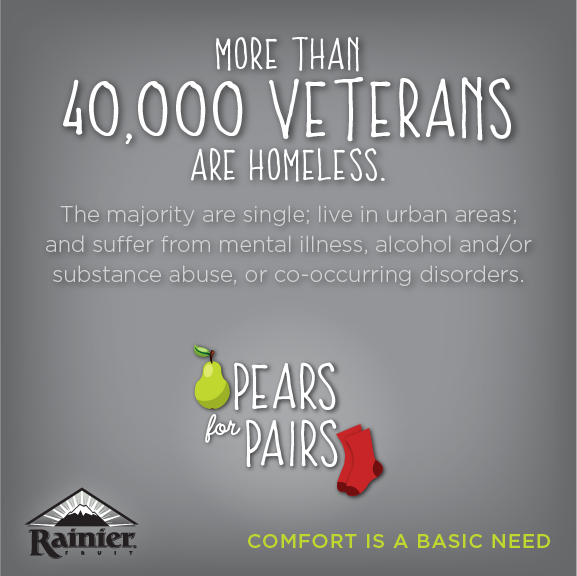 More than 40,000 veterans are homeless. 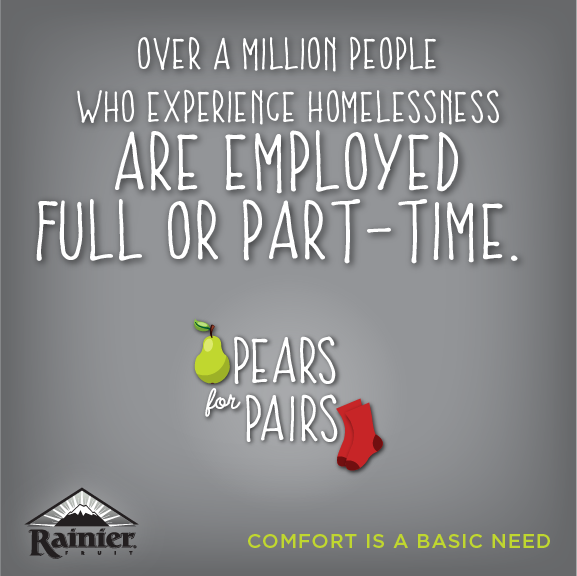 Over a million of people who experience homelessness are employed full or part-time. 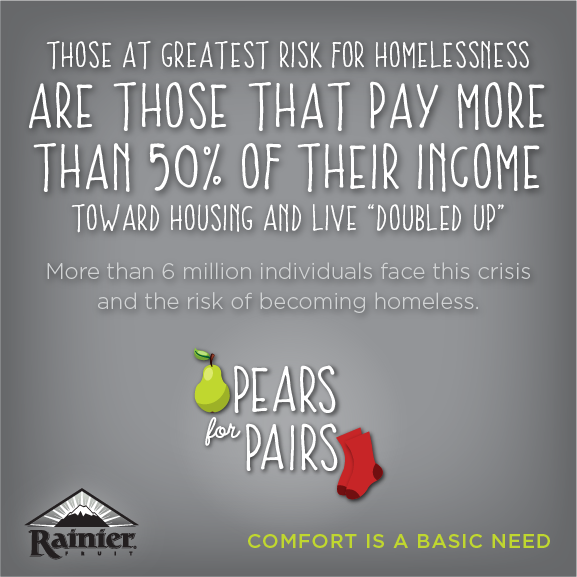 More than 6 million individuals are at risk of becoming homeless.